Beverage retailers are joining the throngs of businesses who have security and loss prevention at the top of their “to improve list.” Shrinkage, robbery and theft all eat away at the bottom line of most retailers’ profitability and must be addressed. The decision to investigate and purchase the latest security devices illustrates the growing determination of business owners to address head-on the safety concerns of their employees and customers and the security of their bottom line. Employee theft in retail is a very real and significant threat at all levels, regardless of the industry. According to Steve Sell, director of marketing, retail at Tyco Integrated Security, in annual surveys, overall “shrink” exceeds $35 billion. More than 44 percent of that figure can be attributed to ‘internal employee theft,’ according to respondents. Carpentier says inventory by far is more prone to theft as thieves have more access to inventory then cash. Regardless, in his fourteen locations, Carpentier relies on the counting out of drawers after every shift and he has invested in good camera video systems to help deter theft. “In our business, the solutions we deliver to retail are most often focused on the prevention or deterrence of product theft and we look to help retailers identify high-risk items and put into place measures which mitigate the occurrence of theft,” Sell says. 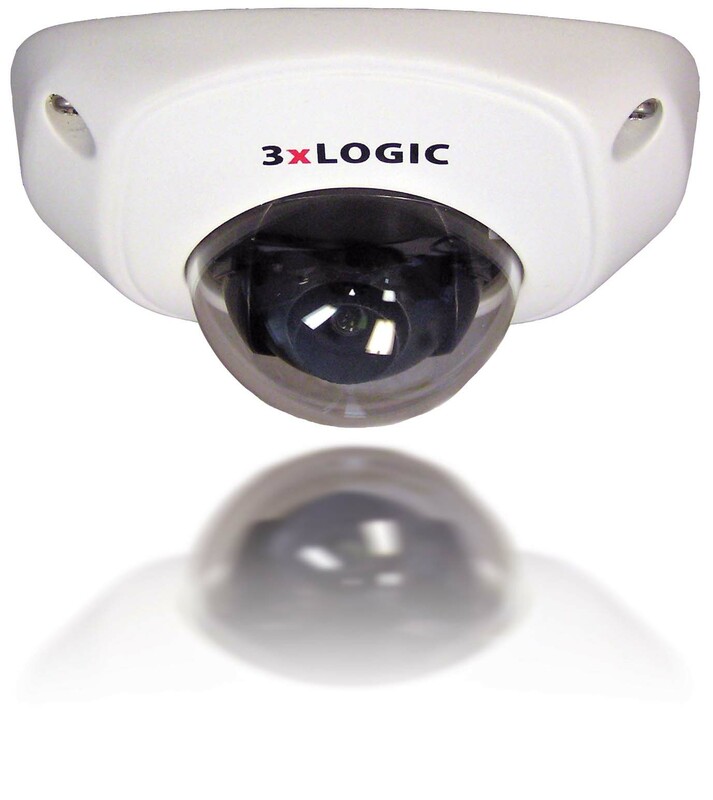 Technology like video surveillance, electronic article surveillance (EAS) and sensors attached to products are the most common used. While not specifically focused on cash management, the video systems are often placed in a way that retailers can offer “overt strategies” for deterrence at point-of-sale (POS) and in places where cash and valuables are handled. “Having a good surveillance system helps,” Carpentier says. “It may not catch a theft in progress, but it can show the thief when someone reviews the video looking for a missing item. Our management team then posts a picture so the entire crew is aware when he or she returns. If a thief is successful the first time, you can be certain they will come back and try to steal again.” Bottle King offers a reward to employees for catching both a customer and a fellow employee stealing. There are many dimensions when it comes to understanding inventory accuracy and managing internal shrinkage. As Sell explains, the difference between “counted inventory and subsequent cycle counting, minus sales” gives a retailer a sense of what should be in inventory and the difference is generally viewed as shrink. A few best practices in controlling inventory and reducing shrink include using EAS systems to deter theft of merchandise, video surveillance to manage the activity in the store and using stored video as case management evidence to understand error or deviant behavior. “One newly trending technology is RFID (radio frequency technology), which is the practice of attaching smart tags to merchandise. Then it can be read with handheld readers or fixed point readers upon entry the store, periodically in the store with cycle counts, and read on exit or at POS,” Sell says. “This technology gives a retailer real time accounts of inventory down to the item level. However, RFID has not been adopted by liquor retailers to date as a mainstream tool. While frequently taking inventory helps manage loss, there are also certain situations that should trigger management to monitor video while a theft might be taking place. For example, customers wearing jackets to conceal items in warmer weather is an obvious sign that a theft may occur. One area Tyco Integrated Security helps with is the theft behavior known as “sweet hearting,” where cashiers are not scanning or ringing up items through POS and they pass items unpaid to customers for personal gain or as an illegal favor to customers. Cash management is another key concern for beverage retailers. According to William Alford, president of International Lighthouse Group, Inc., a risk management firm specializing in the identification of risks, threats and liabilities to business and industry from both internal and external sources, cash management is more than just verifying deposits and making sure that cashiers are not short. Alford says that straight cash theft—like cash shortages and deposit shortages—can occur, and when they do, there are ways to deal with them to identify the cause(s) and take the appropriate actions. However, cash theft though “register manipulation,” (such as voids, refunds, item corrects, no sales) and cash office fraud (i.e. cooking books) can bring a small business to its knees. “Your inventory will be ‘short’ and you will be looking for ways that cases of inventory ‘walked out of your doors,’” Alford says. “And the scary part of this scenario is that most small businesses discover such fraud situations by accident, only after the person committing the fraud gets lazy or careless and the dollar amounts get ridiculous.” Recently Alford learned about a small nine-store chain where a 15-year employee admitted to stealing over $25,000 by ringing up fraudulent bottle refunds. Alford adds that the best recommendation for cash theft deterrence is to find an exception monitoring system that captures the information from your POS system and provides the business owner with reports and “flags” that are easy to read and set standards for performance. According to Carpentier, there are three common mistakes retailers make that lead to theft. First, not having enough control in place can definitely lead to a higher amount of theft. “If a retailer is not on top of their inventory, they will not be able to locate a problem until the theft is out of control,” Carpentier says. The second is not having enough cameras in their store. A good surveillance system has every area covered, including all registers and every office. Lastly, unfortunately, don’t trust anyone. Proper merchandising of high-value items in a visible location not near the exit or hidden among the chaos of a store. Making a verbal and eye contact connection with customers is a major deterrent to would-be shoplifters, so it’s important for employees to be vigilant on this front. Monitoring receiving doors and other discreet access points, which can be safe havens for theft and deviant employees. Take advantage of specialty theft deterrence devices, which are not used often enough to protect high-value liquor products. It may sound elementary, but Alford says lock your back doors and control the keys. “Employees cannot take product as easily out the front door,” Alford says. “But if the back doors are not locked or the keys are freely given to them, I can promise you, at some point, you will lose inventory.” Keep stock rooms clean and organized so you can easily see if something is amiss, like cans or bottle missing from cases. And for the large dollar items, create a security area that is cordoned off or can be locked up. Finally, ensure that you are actually getting all of the merchandise that you are paying for. Check in your vendors and count the product inside the cases. Have a receiver that controls the receiving process and ensures that everything on the invoice is actually brought into the store by the vendor. What impact does organized crime have on retail theft and how can I minimize it? Organized retail crime (ORC) is a major threat that accounts for a large share of the $35 billion in theft occurring annually. ORC rings are prevalent across the country and offer the most serious threat to retail. To offset, one must understand that ORC steals in volume, so deploying shelf technology that deters shelf sweeps of large volumes of product is a strong strategy along with EAS and video. Also, being informed about regional crime activity helps with readiness to prevent. What trends in video are most popular? Moving to IP video (internet protocol) and higher pixel rate cameras offers retailers improved vigilance and also post-theft investigative tools. The new IP tools also allow more freedom in access remotely with better storage and retrieval. Also, facial recognition technology is growing and is enabled by higher quality video. How is RFID being used for loss prevention? Today most RFID use cases are focused on inventory management to improve sales and accuracy of display to drive sales. The next step is to use RFID to get more specific on what is stolen and drive real-time ID of theft. Although this is a key way to gain insight on theft, we are not quite there yet with heavy adoption for this purpose. Is EAS still effective after many years of use? Yes, it is very effective and there are many cases of retailers installing EAS to see reduced shrink, then later removing it only to see shrink rise again. The proof and ROI on the technology is time-tested. What is the best way to manage theft in my store environment? The best way is to deploy a thought-out plan with an integrated strategy of multiple techniques and technologies that fit your environment. Most importantly, demand compliance on response and practice of deterrence by your employees. A great plan and investment in technology is useless without compliance. Special sensors attached to the product, such as a “safer” which is a plastic box where the product is encased with a locking device, can help retailers monitor and deter theft. The sensor is deactivated at the POS by associates. 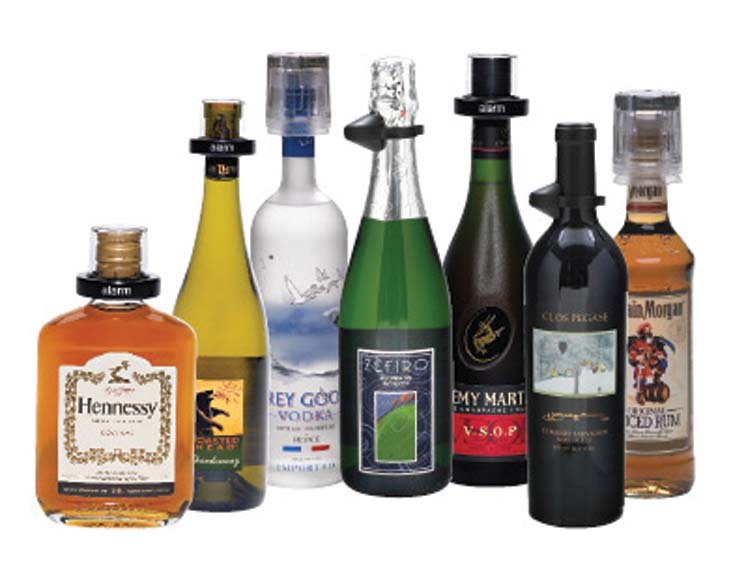 Many of these devices are used for liquor, integrating a bottle cap design to prevent dispensing in the store and theft of the bottle itself.